You’ve got the dress, but you still have yet to find the perfect accessories and shoes for your big day. Enter Freya Rose, a London based, luxury shoe designer known for her hand embroidery and use of Swarovski Crystals, fresh water pearls, French Chantilly lace, and ivory duchess silk. Freya Rose is excited to announce the launch of their new US website, which offers free delivery within the US! All about glamour and elegance, Freya Rose will surely bring together your wedding day look in a refined, stylish, and fun way! Freya Rose shoes are the epitome of wedding day footwear. With their intricate designs and glam styling, a pair of Freya Rose shoes is a beautiful addition to any wedding day look! A few of our favorites featured above are the Lourna (top left), Lisa (top right), Mio-Couture (bottom left), and Carla (bottom right). The Carla shoes are modest and feminine, perfect for pairing with an elegant wedding gown! If you love a good pump and a satin, silky exterior, you will fall in love with the Caira shoes! Is glitz and glam your style? Then the Hollywood shoes are for you! Along with couture shoes, Freya Rose also specializes in breathtaking accessories that are both chic and timeless in their design. The Blossom Hair Comb by Freya Rose is the perfect accent to a natural and soft wedding day look. A chic alternative to the floral crown, this Blossom Belt can be worn as a belt or headband! We’re obsessed with the Mara Hair Pins and think they are definitely the perfect hair accessory for a glam wedding day look! 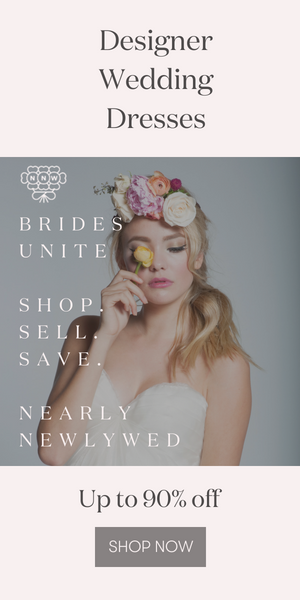 Thank you to Freya Rose for helping brides everywhere look stunning on their wedding day! Remember, Freya Rose offers FREE delivery within the US from their US website! For international orders, be sure to check out Freya Rose UK . For more pretty from Freya Rose, be sure to head over to their website or follow them on Facebook and Pinterest! I love Freya Rose’s shoes. They are so beautiful.